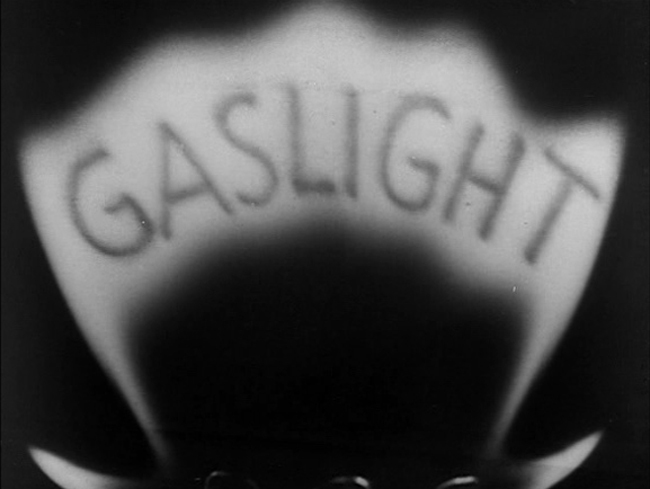 The term “gaslighting” comes from the play Gas Light and its film adaptations. In those works a character uses a variety of tricks to convince his spouse that she is crazy, so that she won’t be believed when she reports strange things that are genuinely occurring, including the dimming of the gas lamps in the house (which happens when her husband turns on the normally unused gas lamps in the attic to conduct clandestine activities there). Since then, it has become a colloquial expression that is now also used in clinical and research literature. The term derives from the 1938 stage play Gas Light (originally known as Angel Street in the United States), and the 1940 and 1944 film adaptations. The plot concerns a husband who attempts to convince his wife and others that she is insane by manipulating small elements of their environment, and insisting that she is mistaken or misremembering when she points out these changes. The title stems from the husband’s subtle dimming of the house’s gas lights, which she accurately notices and which the husband insists she’s imagining.